It’s a good day for fans of all things cars, with the Chevy Corvette ZR1 making an appearance at Sebring alongside Corvette Project Manager Harlan Charles. During his statement, Charles talked about the Corvette ZR1 specs and gave us a good sense of what we can expect from the upcoming car. All in all, the Corvette ZR1 specs are shaping up to be quite impressive, giving fans of the series something to look forward too. Charles has stated that the Corvette ZR1 specs include the ability to spring from 0-60 mph in just 2.85 seconds, as well as to reach 100 mph in just 6 seconds – some pretty impressive specifications that put it solidly in a group of cars with top-notch acceleration. While you won’t likely be able to test out that 100 mph speed outside of a track or select roads around the world, it will still feel great to be behind the wheel experiencing those impressive ZR1 specs firsthand. The box stock 2019 Corvette ZR1 is also capable of blitzing the quarter-mile in just 10.6 seconds at a speed of 134 mph. Media outlets report that the car certainly sounds good revving, and these Corvette ZR1 specs seem to suggest that it’s meant to go around a road course with lots of aero. While supercharged cars and road courses don’t always jive with one another, we’ve already seen Chevy use the ZR1 to smash the Virginia International Raceway lap record – an impressive feat for what seems like an impressive car. 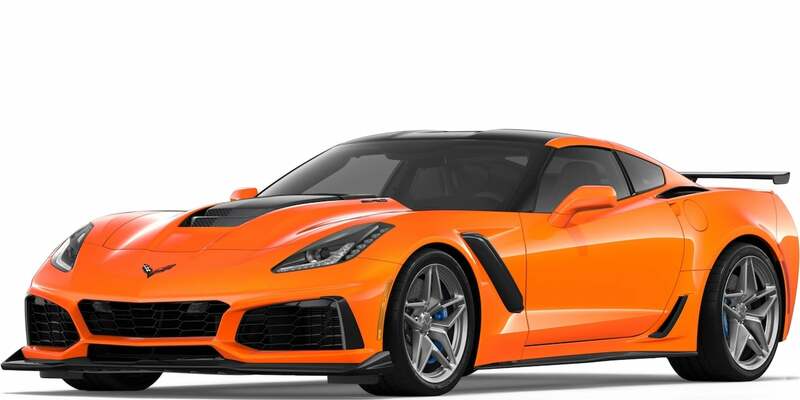 Unfortunately, these Corvette ZR1 specs don’t come cheap, and it appears as if the ZR1 Coupe will start at $119,995 with the 7-speed manual – making it a luxury buy for the sports car connoisseur. If you’d like the paddle-shift 8-speed option for the best performance possible, you’ll need to shell out a good bit more (although we’re not sure exactly what that model will cost at this point in time). Some of the aero tidbits that were included in the demonstration are actually optimal, so if you’re not looking to push the Corvette ZR1 specs to optimal performance in a race, you can probably ditch some of the doodads and save a decent amount of money. With that said, if you add around $3000 to the price listed above, you can get a high wing, stickier tires, and a new front splitter. For the ZR1 convertible, you’re looking at $123,995, which honestly isn’t that much more expensive in the grand scheme of things. Unfortunately, this impressive vehicle is slated for a 2019 release date, so we’ll have to wait a good while before we can get our hands on it. With that said, you should experience the best that Chevy has to offer when pushing these Corvette ZR1 specs to their limits in the performance powerhouse of the year.